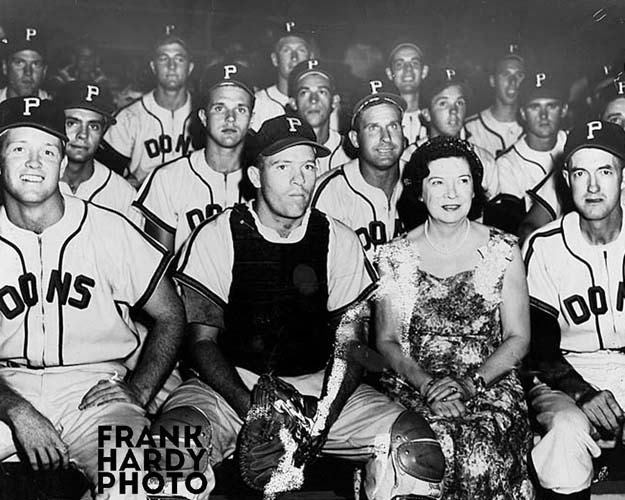 Back in the late 1950’s, a Babe Ruth baseball team from Pensacola won the national Babe Ruth Baseball Championship. It was a real honor for a small town baseball team to beat out all of the other teams from all of the fifty states. 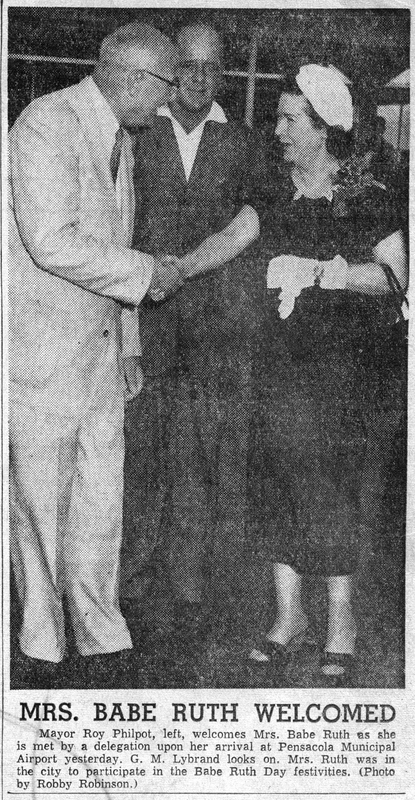 Mrs. Babe Ruth came to Pensacola to present the winning team a trophy and while she was here, she took in a Dons’ baseball game. My father made a photo of her with the team. 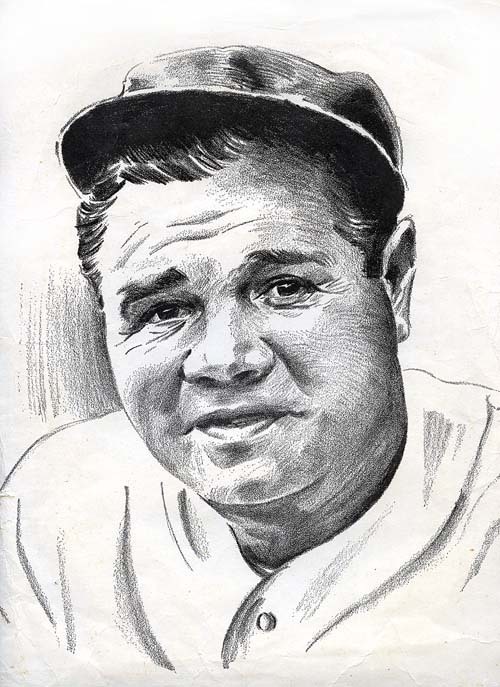 I also recently ran across a news clipping in the local paper about her coming to Pensacola and I also found a nice looking drawing of the “Babe” that I am including.